Google recently released two new flagship Android phones -- the Pixel and Pixel XL. Designed to be serious iPhone rivals, these handsets represent a large investment and one that any buyer would certainly wish to keep safe. 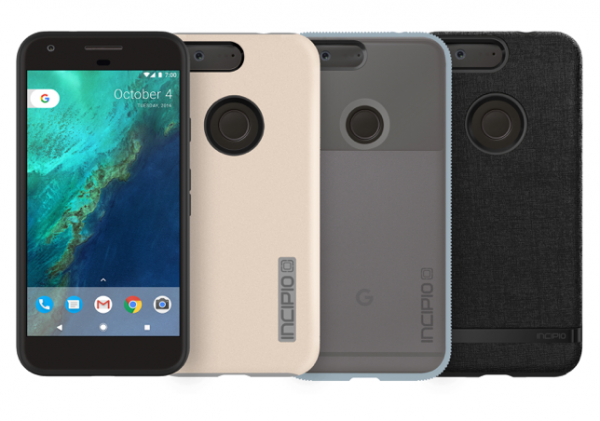 To that end, Incipio is releasing a lineup of cases to keep your Pixel or Pixel XL protected. The line includes some of the company's classic cases as well as new designs. This includes DualPro, Octane and Carnaby, all of which are available for both of Google's phones. "Through working closely with Google on the development of our accessories, Incipio’s solutions are expertly engineered to integrate seamlessly with the brilliant design features of the Pixel and Pixel XL phones", says Carlos Del Toro, Director of Products at Incipio. "We are proud to support such innovative devices with a complementary range of accessories that fuse protection, style, and versatility". You can purchase the cases direct from Incipio or find them at select retailers (not named in the announcement). Retail runs between $24.99 up to $34.99.